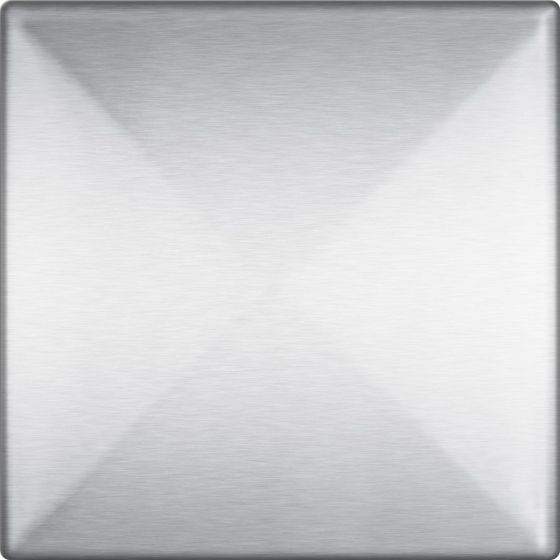 The 4 x 4 Accent 3D Stainless Steel Tile is Proudly made in the USA. 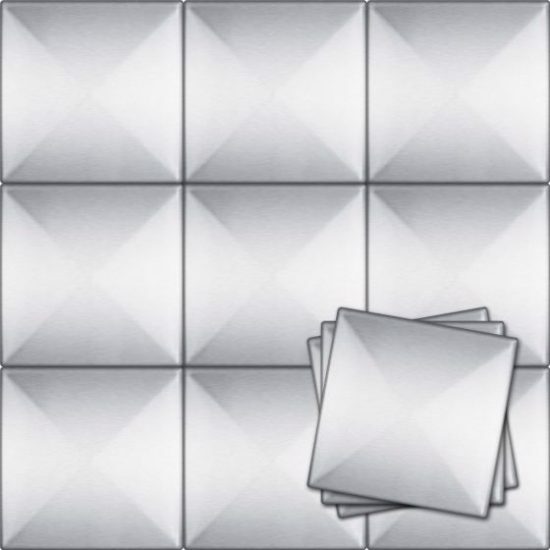 (Actual size: 4″ x 4″) The 3 dimensional (3D) tile refers to the “X” pattern that is stamped into the tile creating a slightly raised pyramid shape. The multi facets of the design using this tile will create dramatic lighting effects and slow shimmer when the viewer moves. Click on the thumbnail pictures to the left see one of our favorite patterns. It uses 6 x 6 3D tiles mixed with flat 6 x 6 tiles. See how this layout creates subtle diamond pattern around the flat tiles. The outdoor fire pit uses the same 6 x 6 pattern. 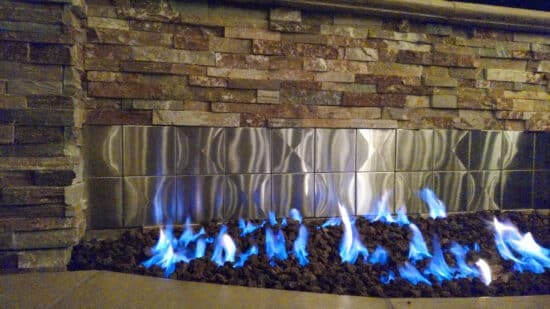 The first person that uses the 4 x 4 Accent Woven tile with 4 x 4 flat tiles will be offered a 20% refund when we receive pictures to include here and in our Photo Gallery. Call us at (404) 655-6719 to discuss. 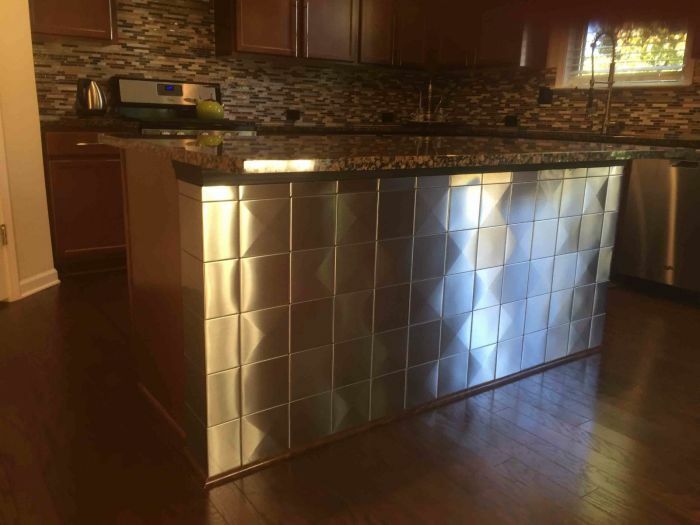 We enjoy helping with design, layout and installation questions, as well. Check our Frequently Asked Questions page for more information.